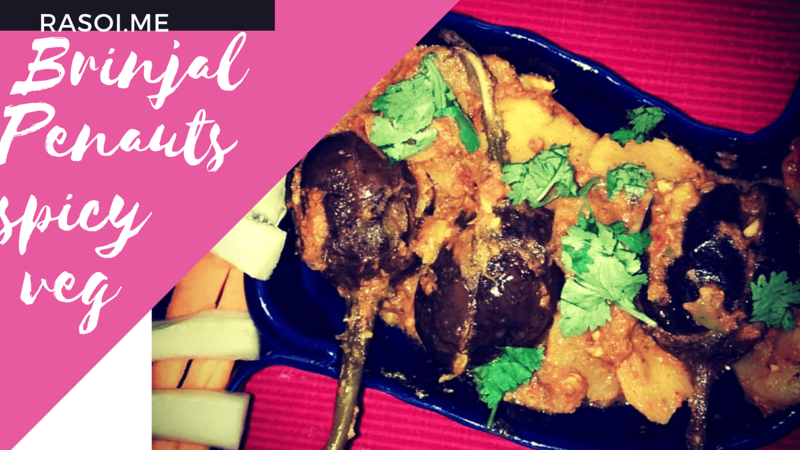 All Sindhi recipes are very tasty and we make today is the most favorite Began Aalu stuffed vegetable recipe. You just try this it at home and sure you love this unique tasty Bengan Aalu Ki Bharva Sabji Recipe. Watch the video and read recipe and ingredients to make it at home. Like comment on your views and share this with your friends and subscribe to my channel today for all easy homemade recipes Rasoi.me. Take 5- 6 small size brinjal / Began and cut into center as shown in video. First we take 1 cup peanuts and grind it with green chilles and garlic. This stuffing is ready take it into plate. Add turmeric powder, salt, Red chilles powder and coriander powder mix it well. This stuffing is ready fill it in Brinjal . Gravy is ready in 3- 5 minutes then we add potatoes in it saute it with gravy and add stuffed brinjal in cooker as shown in video. We take 4- 5 whistle in pressure cooker leave it for 5- 10 minutes slow flame. Its ready to serve. No Replies to "Sindhi Bengan Aalu Ki Bharva Sabji Recipe"